Arizona Mama: Awards! Awards! and More Awards!! Awards! Awards! and More Awards!! I love that I have joined the blogging world. Awards are the little notes you get from other bloggers that let you know someone is thinking about you! So sweet! 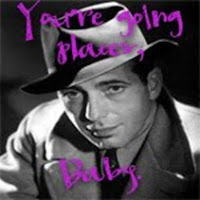 Ok so I was awarded the got the You're Going Places, Baby award from Happily Southern Reviews & Giveaways and from Moma Lovebug! OK, so in 10 years I would like to be living in the same area, possibly the same house, but hopefully a bigger one. I would like to have at least 1 more little one running around. And hopefully be financially secure and living a happy life with my family. I'd love to be a stay at home mom, but not looking promising. 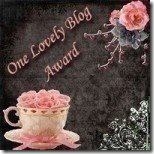 I also received the One Lovely Blog Award from Happily Southern Reviews & Giveaways. Rules: Accept the award, post it on your blog together with the name of the person who has granted the award, and his or her blog link. Pass the award to 15 other blogs that you’ve newly discovered. Remember to contact the bloggers to let them know they have been chosen for this award. 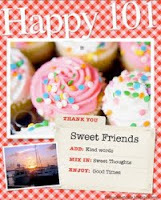 Moma Lovebug also sent me this award for Happy 101. Rules: List 10 random things about myself pass it along to 10 other bloggers. I had my little man at the age of 33! Did not expect to start so late. I exclusively pumped for Jayden for over a year. I love reading, I esspecially love reading V.C. Andrews books. I teach Jayden sign language and he knows more than 20 signs now. I have worked at my job for almost 13 years now. 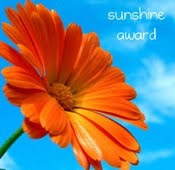 Moma Lovebug also sent over the Sunshine Award. And The CD Report also sent back this award. 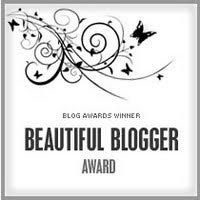 I was also awarded the Beautiful Blogger Award from Moma LoveBug! 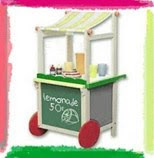 The CD Report also had returned the Lemonade Stand Award to me! Now the last 3 are awards that I have already received before and sent off recently so I will just accept and say thanks to the wonderful ladies that have awarded them to me! Please be sure to check out all these great blogs!! Congratulations on all of your awards and thank you SO much for passing them my way! I am in my pjs all of the time, and my dh hates it! LOL! He's one who gets dressed the second he's out of bed. He's crazy! LOL! I always wished my water would break. My kids never wanted to come out on their own!